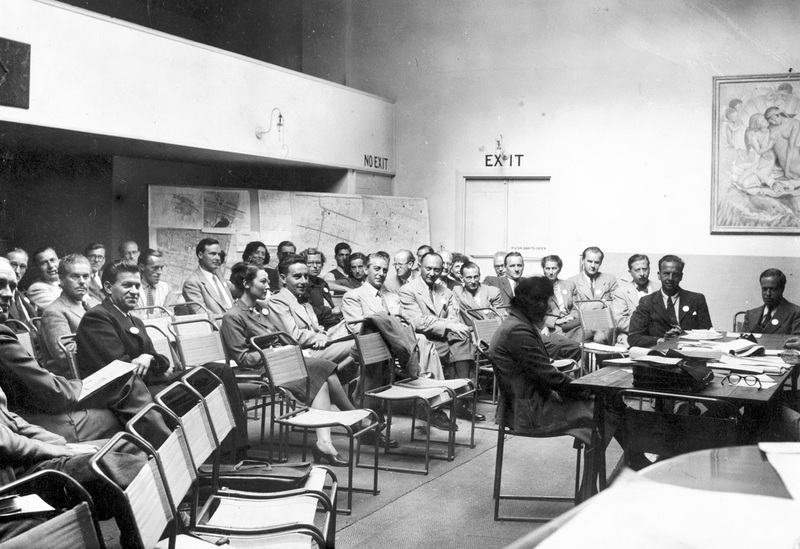 For seven days in September 1947, Bridgwater Arts Centre (itself only one-year-old) hosted an historic conference which brought together leading architects, urbanists and writers from around the world to debate the future of urban design and architecture. 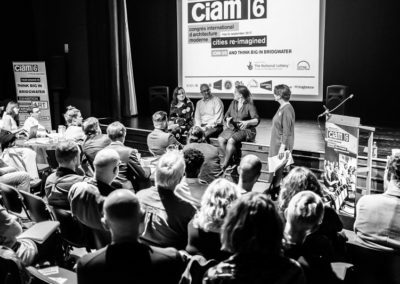 To mark the 70th anniversary, CIAM6 Cities Reimagined will explore the story of this hidden, though significant, event through workshops, an exhibition and conference: a chance to find out how Bridgwater shaped the history of the future. 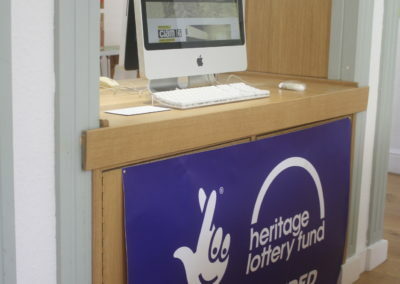 CIAM6 Cities Re-imagined is funded by the Heritage Lottery Fund, in association with Bridgwater Arts Centre, Knightstone Housing, RIBA Somerset, Somerset Film, Bridgwater Gateway, Bridgwater Town Council and Sedgemoor District Council. Photographs from Architectural Press Archive / RIBA Collections and Model Map I, Amsterdam from gta Archive/ETH Zurich. CIAM6 was originally planned for New York but the cost of transatlantic travel made this difficult. Bridgwater Arts Centre was one of the first projects of the newly founded Arts Council of Great Britain. This, the proximity to model prefabrication factories in Bristol and a desire to go ‘into rustication away from the distractions of a great city’ may have contributed to the choice of Bridgwater as a venue. 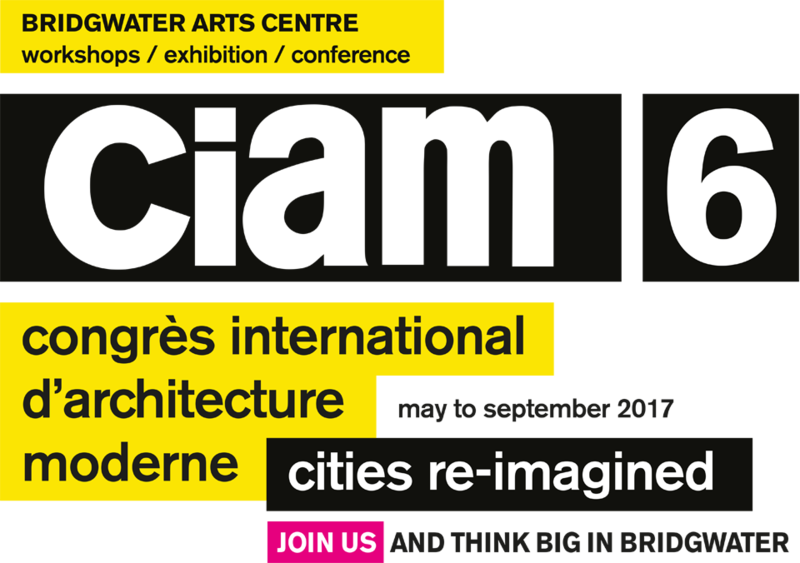 CIAM6 was the first post-war Congrès International d’Architecture Moderne (CIAM) dedicated to restoration of the spirit in the ‘quiet eighteenth-century air of Bridgwater’. With delegates representing Algeria, Argentina, Austria, Belgium, Canada, Cuba, Czechoslovakia, England, Finland, France, Greece, Hungary, India, Ireland, Italy, Netherlands, Poland, Switzerland and the USA, CIAM became an important vehicle for transporting ideas across the world. It reunited radical modernist architects whose lives had been disrupted by political instability and war in Europe and opened up to a younger generation, setting the seeds for new thinking about the design of cities. CIAM6 brought together eighty leading architects, urban designers and writers from Europe, the USA, Africa, India and South America to explore how they could “work for the creation of a physical environment that will satisfy man’s emotional and material needs and stimulate his spiritual growth”. The delegates included influential, world leading design figures. In between the wars, they had promoted innovative approaches to public housing, becoming more concerned with how modern cities should be researched, analysed and designed. Their approach can be linked to key art movements of the early 20th century such as Russian Constructivism, De Stijl and Cubism. They included Walter Gropius who was a founder of the Bauhaus design school whose interdisciplinary approach still informs how art and design are taught today. 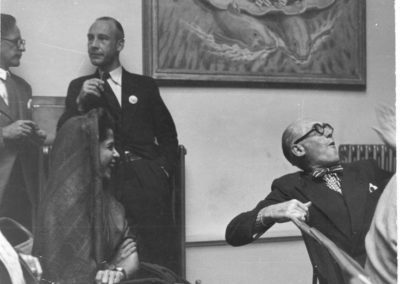 Chaired by the town planner for Amsterdam Cornelis Van Eesteren, the conference included; the famous French architect – Le Corbusier, the Spanish architect/urbanist – Jose Luis Sert and leading members of the British MARS group such as; Wells Coates, Jane Drew, Erno Goldfinger and Maxwell Fry. Organised by the town planner – Jaqueline Trywitt the event included several women, making new careers as designers and architects such as Lotte Stam Besse (who led the redevelopment of Rotterdam) and Greta Schutte Lihotzky, designer of the Frankfurt kitchen (a precursor to today’s fitted kitchen). 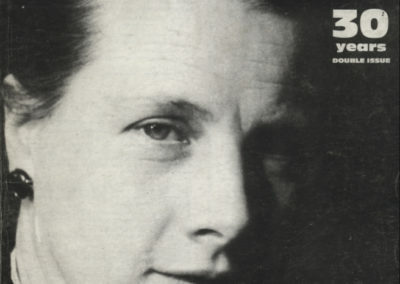 As well as architects and urban designers, delegates included writers and theorists such as Sigfried Giedion a founder of CIAM and leading exponent of modern architecture. The event was recorded by the Magnum photographer David Seymour. In 1933 CIAM4 had taken to the sea, holding a conference on board SS Patris II delegates travelled from Marseilles to Athens and back. Together they studied the evolution of thirty-three cities and debated the future of modern city form and planning. What they discussed wasn’t to be published until 1943 as The Athens Charter which set out design principles for the Functional City. By the time CIAM6 was assembled this approach was beginning to be questioned and it was said that ‘imagination returned’, beginning a process of change that was to lead to the dissolution of CIAM in 1959. This group photograph was taken during an afternoon trip to Bristol Aeroplane Company’s temporary aluminium housing factory. 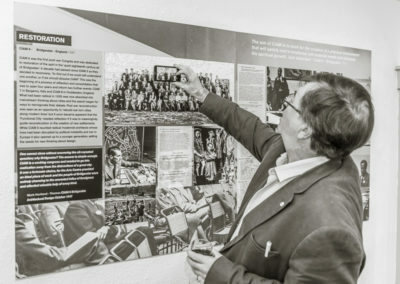 With this gathering of delegates the centre of CIAM had shifted with the migration of its members from Germany and Spain to Britain and America. The map of CIAM’s influence was expanding to India, Sri Lanka, Africa, Cuba and South America while it was shrinking in Russia and Eastern Europe with the approaching Cold War. By 1947 more women had a role to play as do young members just starting to practice. They include radicals, conservatives, survivors, soldiers, collaborators and resistance fighters. There are differences of opinion as usual but for seven days they are united by the belief that they can achieve more together. To create a CIAM6 archive we are inviting crowd researchers to tell the stories of the individual delegates. Photo credit: Architectural Press Archive / RIBA Collections. Can you help supply any information on the CIAM6 delegates? 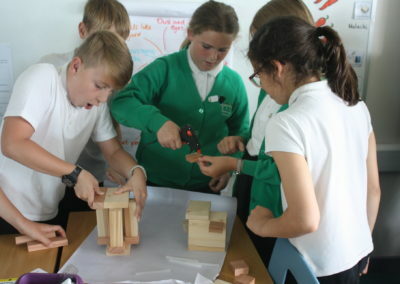 From model making and Minecraft to modernist Bake-Off, a programme of free events led by architects and artists will be rolling out in schools, at Bridgwater Arts Centre and in community spaces from May 2017: a chance to ‘think big in Bridgwater’ and reflect on how the local environment could take shape in the future. Work made at the workshops will be shown as part of the exhibition in September, alongside archive materials from 1947. Join the mailing list at the bottom of the page or follow @ciam6bridgwater for the latest dates and details of how to book. Explore how CIAM 6 shaped the history of the future. Showcasing original drawings and photographs from the CIAM archives, private collections and the RIBA collections alongside content generated from our schools and community workshops, the exhibition will capture the spirit of the conference and bring the stories behind the pictures to life. 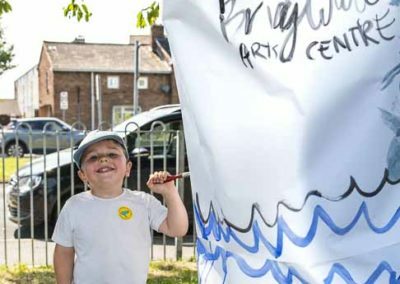 As part of the project’s outreach programme, Bridgwater Arts Centre is offering free architect-led design workshops in local schools in June/July 2017 for KS2 and KS3 pupils. These sessions will culminate in a young people’s Conference Re-enactment at Bridgwater Arts Centre. 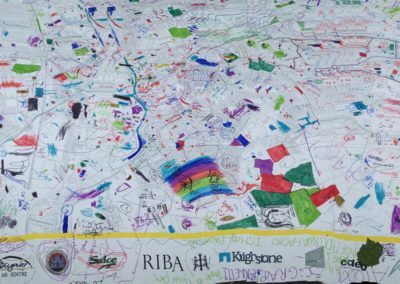 The programme will inspire young people about architecture and city making and give them an insight to the diverse roles they can play in shaping their own urban spaces. 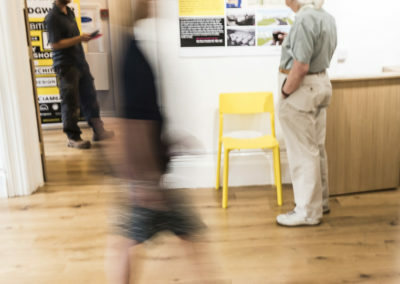 A series of workshops at Bridgwater Arts Centre, Somerset Film and community venues will explore city futures and visions for sites in Bridgwater. Modernist Bake-Off: From concrete to cakes, our Bake-Off tea party invites your architectural showstoppers. Join us in building a CIAM 6 archive? 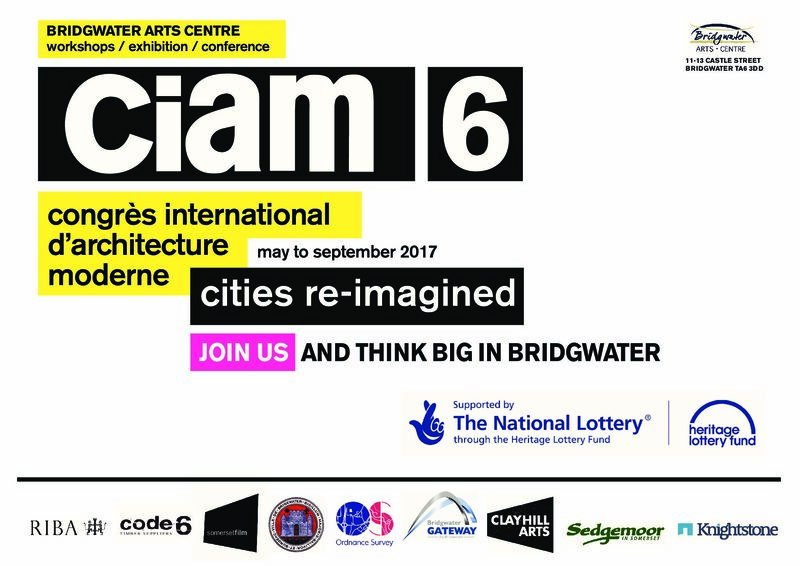 From May to September 2017 we are creating a CIAM 6 archive to offer an insight into the work and lives of the delegates who attended the Congress at Bridgwater. Alongside our exploration of city futures, we are inviting crowd researchers to help us expand this history. To join us as a crowd researcher, contact us at ciam6@bridgwaterartscentre.co.uk or join the Bridgwater Arts Centre CIAM6 Facebook Group.